Today I present three features on bands introduced to me by a single compilation. The background: Last year, a little compilation pop label from Brazil sent me a lovely little collection of tunes, released as Porque Este Océano Es El Tuyo, Es El Mío. Well, that label has done it again. Pero Ese Olor En El Cuarto Del Piano Fue El Primer Perfume Que Necesitó En Su Vida is a pretty long name for an album, but it fits the concept. Chapter 6: Why So Far Away, In Europe? 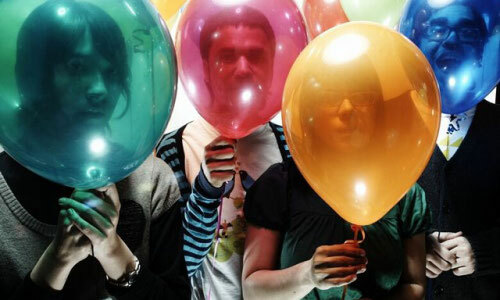 Balún (MySpace) opens the second chapter with more noise and pop than the earlier, more ambient tunes. There are still the soft electronic elements, for sure, but they’re much more expansive, creating a larger and more blanketing soundscape. The sound carries over into Balún’s other tracks like “A Surprise” and “Alicia”. Like many bands off the Perfume compilation, Balún’s music creates a good balance between instrumental and vocal tracks; of the three included below, “Alicia” is the only with vocals. Below are a few snippets from the band, all found in various locations. First up is “Snol” from the aforementioned compilation, available now at Darla. I’ve also included “A Surprise” off Something Comes Our Way, out on Brilliante Records.